Popularly known as ‘khira/kheera’ or ‘kakdi’ in Hindi, cucumber is one of the oldest cultivated crops, believed to have originated in the Indian subcontinent. 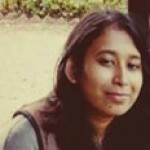 It is also known as ‘Dosakaya’ in Telugu, ‘Kakkarikkari‘ in Tamil, ‘Kani Vellarikka‘ in Malayalam, ‘Kakdi‘ in Gujarati, ‘Sosha‘ in Bengali, ‘Kakadi‘ in Marathi, and ‘Tar‘ in Punjabi. Cucumber or Cucumis sativus is a creeper that belongs to the Cucurbitaceous family. It has a light to dark green color, thin skin, moisture-rich flesh with tiny edible seeds inside, and is enjoyed best in salads, sandwiches, or as a juice. It has a high water content that helps keep your body hydrated, and the low calorie content makes it a great choice for a weight loss diet. So let us try and understand how cucumbers help maintain our bodies in top shape. The greatest and most important skin benefit of cucumber is that it helps in revitalizing the skin. Puree the cucumber in a blender and then add the other ingredients to it. Then, apply one layer of the mask on damp skin and leave it on for five minutes. Follow it up with the remaining mask another one or two times for a total of 15-20 minutes. Once dry, rinse it off with lukewarm water. Follow it up by splashing your face with cold water to close your skin pores. 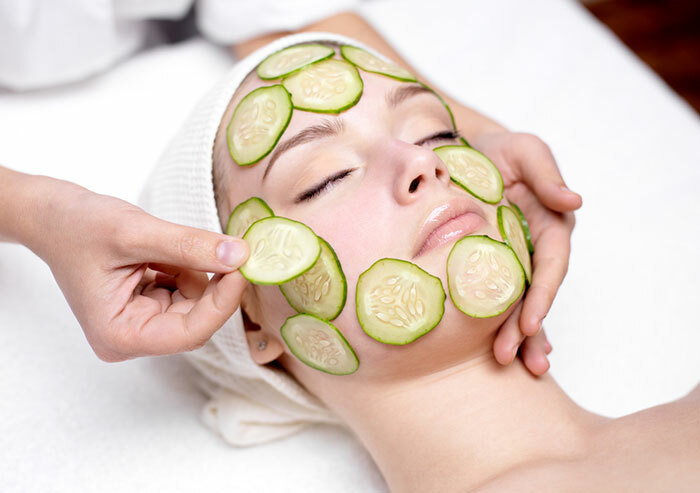 Facial masks containing cucumber juice are beneficial for skin tightening (1). Cucumber is a mild astringent that helps get rid of skin tan. After grating the cucumber, take a clean washcloth and use it to squeeze the juice out. Then, apply the juice on your face. It has a mild bleaching property that can help even skin tone and give you a youthful and glowing skin (2). If you are worried about eye puffiness, then cucumbers can provide you with instant relief. Put two slices of cucumber on your eyes and let it stay for as long as you want. 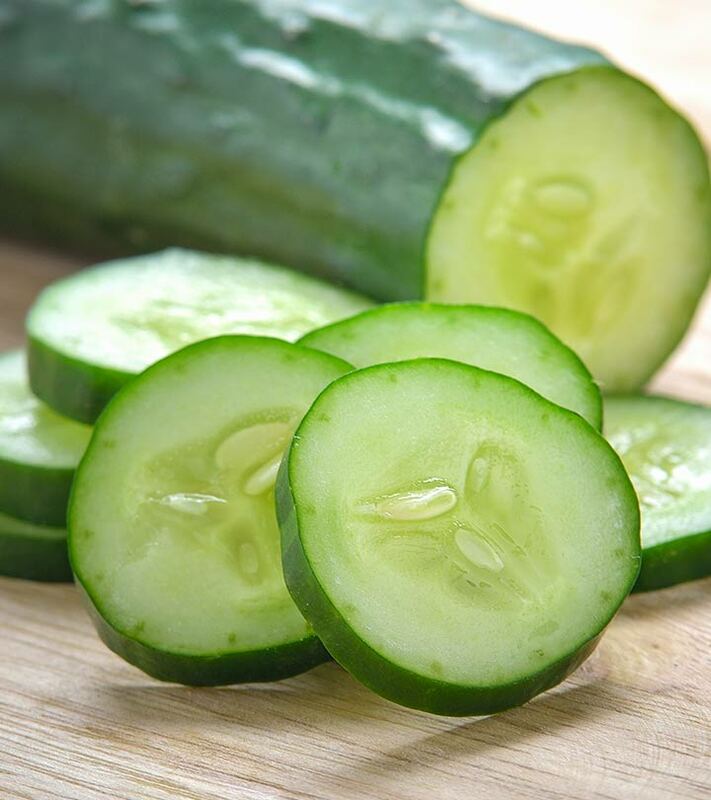 The ascorbic acid and caffeic acid in cucumber brings down the water retention rate which, in turn, diminishes the swelling and puffiness around the eyes (3).Cucumber can easily reduce the puffiness in your eyes. Simply cut slices of cucumber, refrigerate it for a while and place it on your closed eyelids every day. This will not only bring down the puffiness, but also help you relax. It actually hydrates your eyes and lessens puffiness. Cucumber also heals sunburnt skin and brings instant relief. Carefully apply pureed cucumber or slices carefully and generously on the affected area and allow it to sit for as long as you want. Cucumber is a natural and gentle way to treat sunburn since it helps draw the latent heat out of your body (4). The most common use of cucumber is to improve and rejuvenate your skin. Mix cucumber juice with a few drop of lemon juice. Apply the mixture as a facial mask. Let it sit for a while and then, use a wet towel to pat your skin dry. Application of this mask will improve the complexion and will add a glow to the skin since cucumber is both a mild astringent and contains a lot of water (5). You can also use cucumber to treat open pores and heat bumps on legs. 1. Blend the cucumber to get the juice and use it as a toner. Cucumber juice can absorb the heat, rendering coolness and closing open pores (6). Cucumber can also help banish cellulite from the thighs. Mix some ground coffee with cucumber juice and raw honey to make a thick paste. Apply this on the affected areas, wrap it in a muslin cloth and exfoliate gently after 30 minutes. 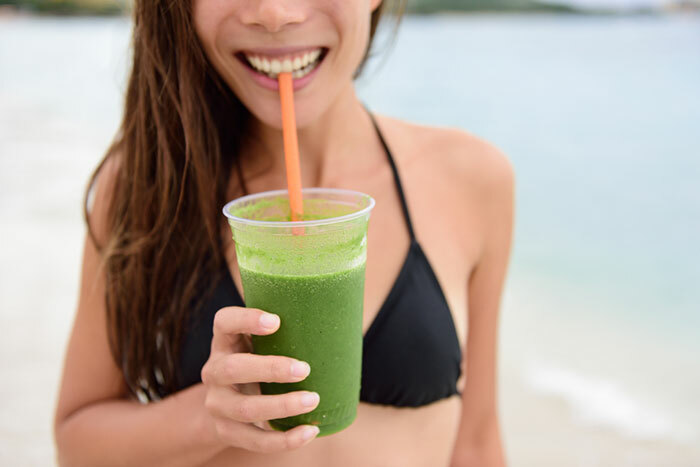 Cucumber juice contains phytochemicals that help in the production of collagen, the fiber-like protein responsible for skin elasticity and remove cellulite (7). Using cucumber slices around the eyes also reduces the appearance of dark circles quickly. Place two slices of cucumbers on the eyes and leave them for 20 minutes. Alternatively, you can also soak two cotton balls in cucumber juice and place them on your eyes. The abundance of antioxidants and silica in cucumber can help in slowly fading dark circles (8).Though cucumber cannot permanently cure your dark circles, it sure can make the skin around your eyes appear lighter on a temporary basis. The skin around our eyes is often found discolored, and these dark circles spoil the prettiest of faces. Cucumber comforts vessels around your eyes; hence helps bring back its normal tinge. You can use grated cucumber to treat freckles and blemishes. Mix the oatmeal in the cucumber pulp and let it sit for half an hour. Apply it over the face and leave it on for 20 minutes. Then, wash your face with lukewarm water and follow it up by splashing cold water. Cucumber contains anti-inflammatory properties that help soothe your skin (9). Cucumber is a natural moisturizer. The skin around our eyes is the thinnest in our body. Placing cold cucumber slices on your eyes can hydrate your eyes and the skin around. This, in turn, can help reduce lines and wrinkles around eyes. Hydrated skin means smoother skin. You can actually call cucumber an eye moisturizer. Cold cucumber slices on eyes helps remove excess water. This is a great way of drawing excess moisture out of the skin cells around eyes. This is believed to reduce swelling of the eyes. 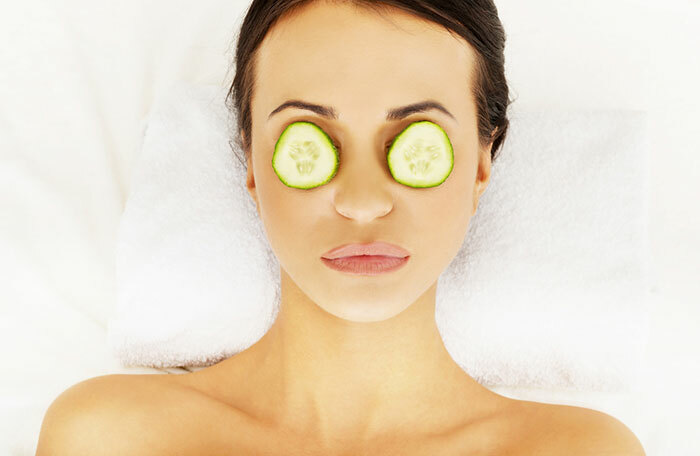 Cucumber also helps toning down of under eye bags. Take a small inch of a cold cucumber and make a fine paste by grinding it. Now add either lavender oil or chamomile oil to it along with some honey. Blend it well and make it into a fine paste. Now apply this under your eyes using your fingers lightly. Leave this on for around 10-15 minutes and wipe using a damp cloth. This will help a lot in reducing the under eye bags. Drink cucumber juice daily to control hair fall. Apply cucumber juice to your hair and scalp. Leave it on for an hour and then shampoo. The most important benefit of cucumber for hair is primarily due to its content of silicon, sulfur, sodium, phosphorus, and calcium that are some of the most needed nutrients required for hair growth (10). Cucumber juice can also be used as a hair rinse to get silky and shiny hair. It conditions the hair owing to the presence of silica and makes it more beautiful (11). Daily consumption of cucumbers can be regarded as an effective laxative. The amount of calories in cucumber is very low, but its fiber content adds to your bowel bulk and relieves problems like constipation (12). Cucumbers help treat problems arising in your urinary system. Drink cucumber juice twice, daily. Cucumber juice is a potent diuretic food that helps flush out toxins from your body. It also eases the pressure on your kidneys and keeps them healthy (13). Digestive problems like heartburn, acidity, gastritis, and ulcers can be cured by consuming cucumber. Include cucumber in your daily diet. Cucumber contains a high amount of fiber that helps in digestion (14). Cucumber is considered as a natural remedy to eliminate tapeworm from the intestinal tracts. Cucumber contains the enzyme erepsin that is known to kill tapeworms (15). Cucumbers regulate the blood pressure level in your body at the optimum. Cucumbers are one of the best sources of potassium and contain 136 milligrams of potassium per 100 grams (16). Potassium in blood neutralizes the effects of sodium and helps maintain electrolyte balance (17). Fresh cucumber extracts are also known to reduce unwanted inflammation. It accomplishes the task by inhibiting the production of prostaglandin, the inflammatory compound (18). Cucumber has a substance called beta-carotene. This acts as an anti-oxidant. It helps fight free radicals and controls damage. It also promotes healing. Cucumbers are also rich in flavonoids which are great for reducing inflammation. Cucumbers are also an effective treatment for diabetes. Cucumber juice contains hormones that are needed by the pancreas for producing insulin (19). A recent study has found cucumber to be an effective remedy to fight different kinds of cancer. Cucumbers are known to contain lignans that are found to reduce the risks of developing breast cancer, uterine cancer, and prostate cancer (20). It has some of the most important ingredients such as lariciresinol, pinoresinol, secoisolariciresinol that help in reducing the risk of all types of cancer. It has got photo-nutrients known as lignans that help in preventing cancer. Vitamin C found in cucumber seeds acts as an antioxidant and also improves the immunity system. Cucumber also combats bad breath. Take a slice of cucumber and press it to the roof of the mouth with your tongue for 30 seconds. The fruit releases phytochemicals that kill the bad breath causing bacteria (21). Cucumber juice can effectively treat gum diseases like pyorrhoea and weak gums (22). Cucumber keeps gums and teeth healthy as it removes bad odor from the mouth. The photochemical present in it kills the bacteria in the mouth. Regular consumption of cucumber with the seeds neutralizes acids in the mouth and promotes salivation. Cucumber can also be used to cure a hangover and the headache associated with it. Eat a few cucumber slices before going to bed. This is because they help to rehydrate the body’s nutrients and eliminate the toxins that are present due to the intake of alcohol. The sugar, vitamin B, and electrolytes in the cucumber will reduce the intensity of the hangover and the headache (23). Cucumber can also help lower blood pressure. Cucumber has mild diuretic properties owing to its high potassium and water content that regulate the blood pressure and treat both high and low blood pressure (24). One of the most common benefits of cucumber is that it is a great detox. Cucumber contains 95 percent water that hydrates and replenishes the body by eliminating the toxins. The high water content in cucumber acts as a system cleanser and sweeps the waste products out of the system (25). Cucumber is also known as a great remedy to strengthen your bones. Vitamin K in cucumbers plays a very important role in strengthening bones by promoting orthotropic activity (26). 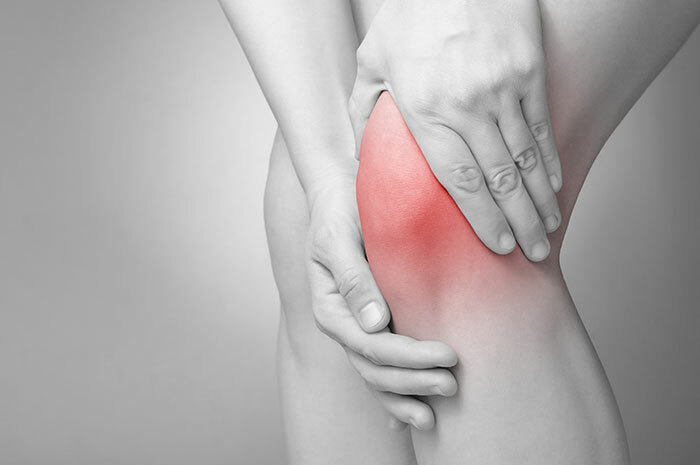 Also, the high amount of silica in it promotes joint health by strengthening the connective tissue (27). Another benefit of cucumber is its ability to treat cognitive disabilities like Alzheimer’s disease. Cucumbers contain a flavonoid called fisetin that is neuroprotective and enhances cognitive abilities, thereby delaying the onset of Alzheimer’s (28). Cucumber seeds also help in losing weight and prevent indigestion, as the seeds and pulp have a low calorie count, high water content and replete with vitamins and fiber. Cucumber has copper minerals that help in creating neurotransmitters that are essential for proper communication in the brain. 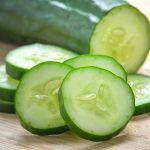 Cucumber can also be used to remove stubborn stains and tarnish from stainless steel tools, countertops, and walls in the house as well as restore the lost shine. Polish your vessels with slices of cucumber. The chemicals found in cucumber prove to be very useful in making your pots and pans shine (29). Cucumber is also known to help get rid of pests. Place slices of cucumbers in containers around the garden to control slugs and pests in the area. The chemical in these vegetables releases a scent that wards of the pests and insects (30). Allergies, especially around the oral cavity, itchiness, and swelling may also develop. This can be avoided by cooking the fruit rather than eating it in its raw form. Cucumber can also lead to gastritis problems in some people that are mainly caused due to a compound known as cucurbitacin. This can be avoided by eating cucumbers that have undergone breeding or whose compound has been removed. Cucumber can also cause toxicity and baldness caused by the chemicals found in them. This usually happens when one consumes excess cucumber. When buying cucumbers, make sure that they are fresh. The color of the cucumbers should be light to dark green, and they should be firm in texture. Avoid buying cucumbers that have spots or cuts and are yellow in color. Also, wash them thoroughly before eating to remove pesticides and other harmful chemicals. Cucumbers can be stored in the refrigerator for almost a week. If you have peeled the cucumber, then you can store it in an airtight container to prevent moisture from escaping. For optimum nutrition, a cucumber should be eaten within two to three days of purchasing. Also, they should not be left at room temperature for a long time as this can make them limp and wilt. This wonderful low-calorie vegetable has more nutrients to offer than just water and electrolytes. It contains almost all the nutrients required for a balanced diet that not only help to maintain a healthy body, but also boost many other processes. So enjoy its many benefits and live a healthy life. How Is Cucumber Helpful For Eyes?